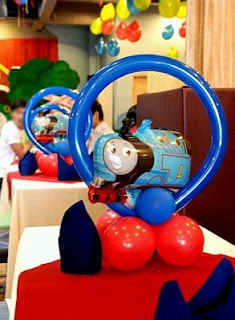 An important element decorating a party, are the centerpieces, these not only serve as table decorations, but can be used to place in them, appetizers to entertain your guests. 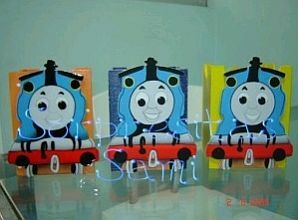 Here are some interesting Centerpieces models of Thomas and Friends. 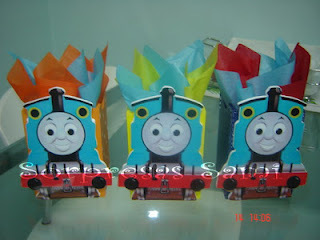 In this first you have some nice railcars with the face of Thomas, ideal to place inside the goodies you want. 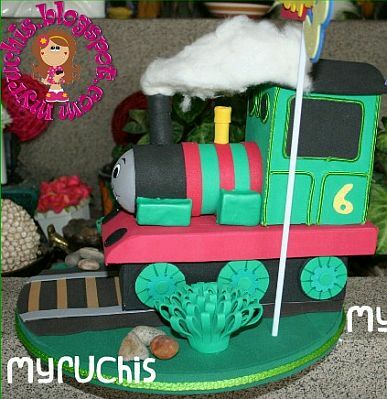 Another cute centerpiece in the shape of a train, on its base can be placed pacifiers or other goodies. 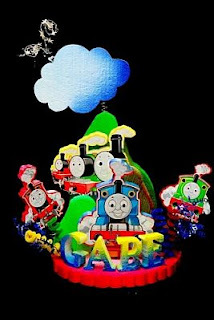 Centerpiece of a level, with the image of Thomas. By the way of trains, these are ideal to place treats or snacks inside. 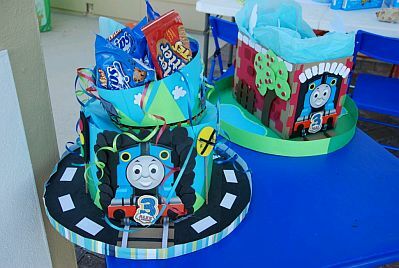 Another nice proposal Thomas is a number of wagons, and each can be placed various types of snacks or treats. 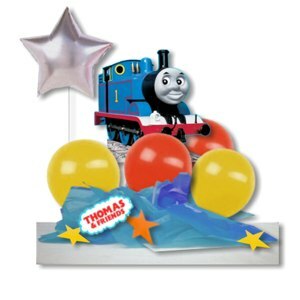 Centerpiece made based on balloons, and amid a metal one with a picture of Thomas. 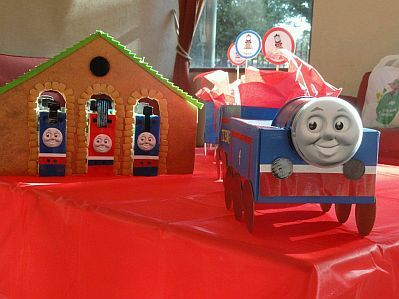 Cute centerpiece, can be seen in the Thomas and all his friends, would be ideal place with sticks or candy pacifiers on the base. 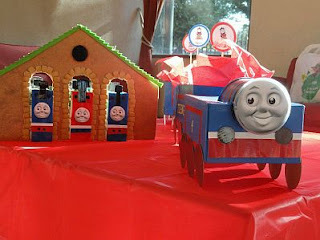 Thomas centerpieces, inside which are placed the candy wagon, each of the centerpieces decorated differently, some rails, others with fences, etc.. Very well crafted centerpieces Thomas and his friends, ideal to place the goodies and surprise guests. 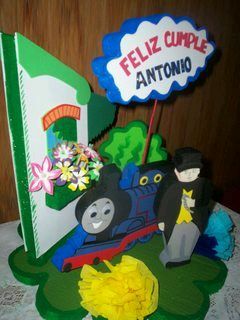 Finally, another cute centerpiece made with balloons and Thomas at the top. 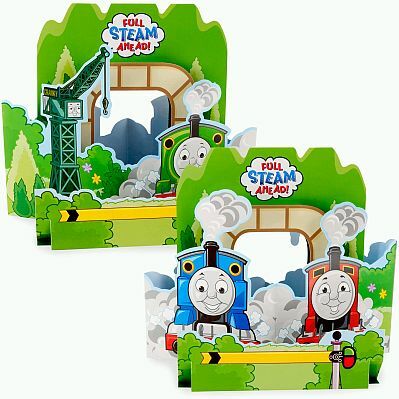 I hope these models have been useful.